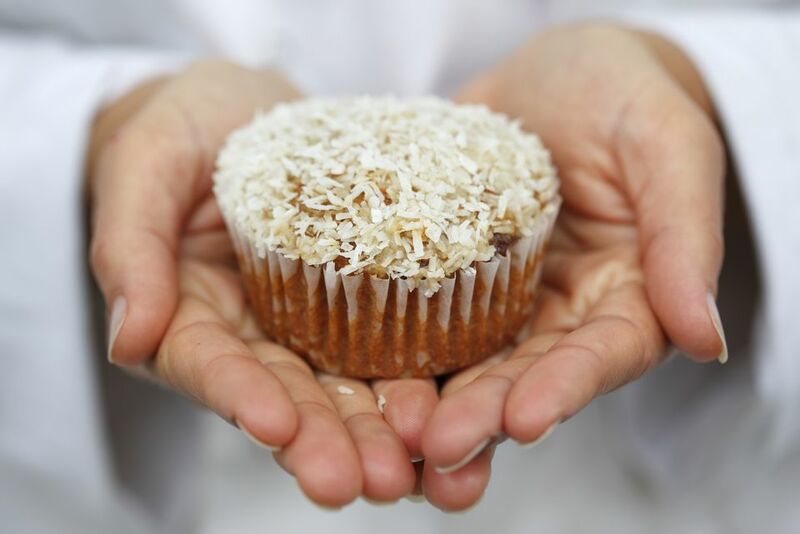 This recipe for gluten-free and dairy-free banana coconut muffins comes from Melissa Diane Smith and appears in her new book, Gluten Free Throughout the Year - A Month-by-Month Guide for Healthy Eating. What's great about this recipe is that it contains zero refined sugar and no grain. These muffins are naturally sweetened with ripe banana, coconut, and coconut flour (which is a a high-fiber, low carbohydrate flour). Refrigerate the muffins after they cool overnight to develop flavor and natural sweetness. Enjoy for breakfast, as a pick-me-up afternoon snack, or as a treat for the end of the day. Thoroughly grease a 6-cup muffin tin with coconut oil or line with paper muffin liners. Melt coconut oil if it is not liquefied. Make sure the other ingredients are at room temperature. Mix the first five ingredients together. Add the coconut flour, almond or hazelnut flour, baking powder, cinnamon, and shredded coconut and then whisk together until smooth. Bake for 15 minutes (see note) or until a toothpick inserted in a muffin comes out clean. Pop muffins onto a wire rack to cool, then store in a container and refrigerate. Flavor is best one or two days after baking. Note: If you double the recipe, bake muffins for about 20 minutes and use toothpick test to check that muffins are done. If not, bake an additional 5 minutes.